Friendship takes on new meaning in this true story of Justin and Patrick, born less than two days apart in the same hospital. Best friends their whole lives, they grew up together, went to school together, and were best man in each other's weddings. When Justin was diagnosed with a neuromuscular disease that robbed him of the use of his arms and legs, Patrick was there, helping to feed and care for him in ways he'd never imagined. Determined to live life to the fullest, the friends refused to give into despair or let physical limitations control what was possible for Justin. So when Justin heard about the Camino de Santiago, a 500-mile trek through Spain, he wondered aloud to Patrick whether the two of them could ever do it. Patrick's immediate response was: "I'll push you." 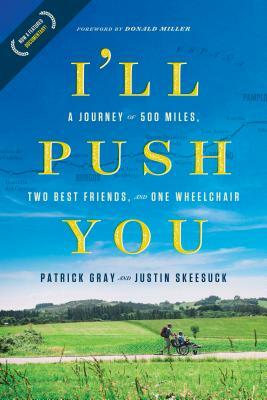 I'll Push You is the real-life story of this incredible journey. A travel adventure full of love, humor, and spiritual truth, it exemplifies what every friendship is meant to be and shows what it means to never find yourself alone. You'll discover how love and faith can push past all limits--and make us the best versions of ourselves.